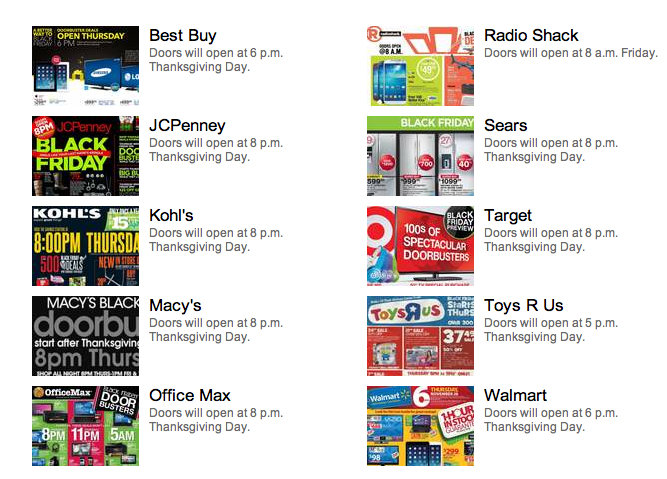 It seems that the shopping season is taking over the holiday season. Black Friday battles to save a couple dollars are giving us all a black eye! Clearly Retailers have crossed the line, but we know the public will head to the shops. We complain about consumerism, but there are plenty of horror stories of stampedes as shops open their doors and people fling themselves into shop ‘til you drop mode. So, I wanted to put Thanksgiving in perspective. I have many things to be thankful for, most of all my family and friends. I’m thankful for motorcycling and the ability/health to have enjoyed another year of riding my Harley across this great country. I’m grateful for a wife who shares my passion and rides along on many adventures. I’m thankful and appreciate my extended rider “family” who have been there with support and hugs from breakdowns to accidents. I’m thankful for the men and women of our armed forces who are serving overseas protecting our interests. 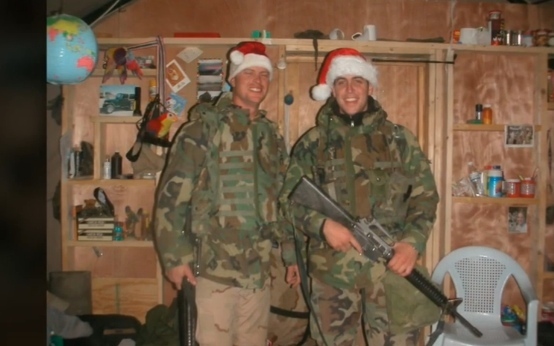 They don’t get to spend Thanksgiving with their loved ones and I appreciate their sacrifice. It does not go unnoticed! We live in a country that to a great extent, still provides the promise of life, liberty and the pursuit of happiness. A place where we can freely choose to do what we want and if we’re fortunate, be able to make a living doing it. I’m thankful that I can complain about our elected representatives, and have the ability to choose them which is a rarity in this world! Speaking of, I’m thankful for Barack Obama banishing boredom for millions of lives. 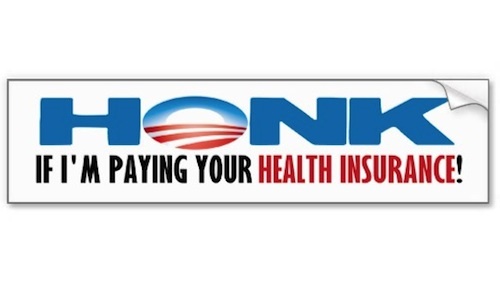 The ObamaCare misadventure and “apology” has caused a lot of ordinary people to question both his character and his competence. But, I’ve digressed. Last but not least, I’m thankful for all of you! The readers, the subscribers and the commenters. You allow me to do what I do on this blog. That is the promise of America, and on this Thanksgiving holiday, it still holds true. I hope you have a chance to enjoy some turkey, yams, stuffing and pumpkin pie with your family and friends! Photo courtesy of Internet Advertising. It’s taken me much longer than typical to finish this post, but here is the summary of the Yosemite trip taken last month (August)… Part 1 is HERE. The next day (Tuesday, August 2nd) we departed Reno mid-morning and continued down Hwy 395 south. Others in the posse were heading to Las Vegas and departed early to avoid the desert heat. Our plan was to ride through Yosemite so there was no big rush. In fact, after about 30 minutes we made a brief stop at the Carson City H-D dealer. I was interested to see if they had any 2012 Road Glide models on display – they didn’t – and after some coffee we continue our meandering pace along the high-desert valley floor. We crossed back over the state line into CA., near Topaz Lake. It was early but the fishing boats dotted the lake in what was likely an attempt to capture a trophy trout. Bridgeport was the first fuel stop of the morning and where we paid over $5-gallon. 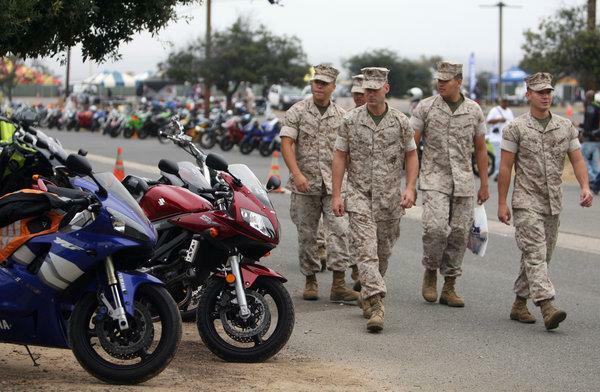 It’s not highly visible, but Bridgeport hosts the Marine Corps Mountain Warfare Training Center (MCMWTC). It’s one of the more remote and isolated military posts and conducts training exercises for military personnel headed to Iraq and Afghanistan. The base is located about 21 miles from the city center on Hwy 108 at Pickle Meadow. We grabbed lunch at the Burger Barn in Bridgeport. It’s literally a mom and pop fast food restaurant cooking up some great food, and while there was a number of people ordering it was well worth the wait. Afterward we continued south and it wasn’t long before we caught our first glimpse of Mono Lake. “Mono” means “beautiful” in Piute and besides being an oasis in the great basin it is an awesome sight. 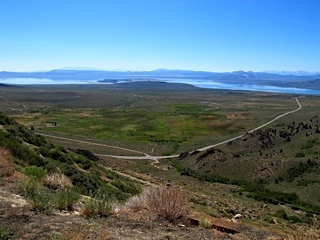 As we continued around Mono Lake we quickly climbed to another 8100-foot ridge where aspen forest dotted the landscape and then we started back down to the valley floor which sits about 6000 feet. 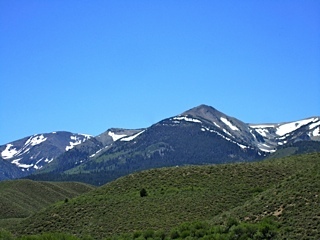 We continued to cruise down through the southern Sierra Mountain range which in my view is an awesome ride. I drove much of this same route back in April (HERE) when our group decided to ride down to the Laughlin River Run. I remember it being much colder and a lot of snow on the sides of the road. This trip it was t-shirt/vest riding weather which made it a real treat. As we rolled through Lee Vining, CA., I notice a motel at the edge of town with a vacancy sign and made a mental note. We hadn’t decided if we were going to ride through the park toward Merced or back track to Reno. 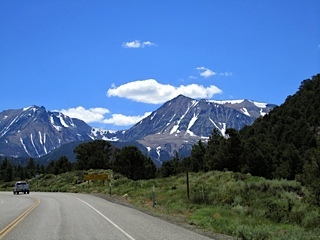 Just outside of Lee Vining we took Hwy 120 (Tioga Pass Road). The road is a constant climb and gains about 4000 feet in elevation. We rode along the sweeping cliffs and granite lined road, and entered the park at Yosemite’s Tioga Pass which sits at 9,945-foot elevation. 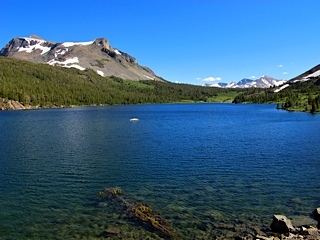 Tioga Pass is the highest automobile pass in California. It’s a picture postcard view when you across a mountaintop and there are not many experiences like that in a lifetime. 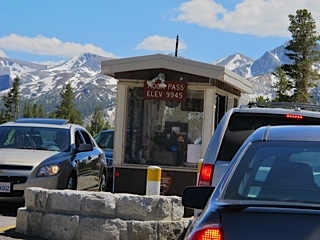 Once at the Tioga Pass checkpoint, it was time for a short break to stop, stretch out and snap a few tourist photos of the scenery. It was at this point of the ride where we started to notice the dramatic number of visitors, RVs, auto’s, horses and hikers. We trekked through the tree-lined roads and over the lazy curves and long straights of asphalt where you can actually see for miles well off into the distance that covers the remaining eastern portion of Yosemite Park, the cliffs, and gigantic jagged granite mountains were spectacular. After about an hour of slow moving traffic we made a judgment call on where we wanted to look for a motel. 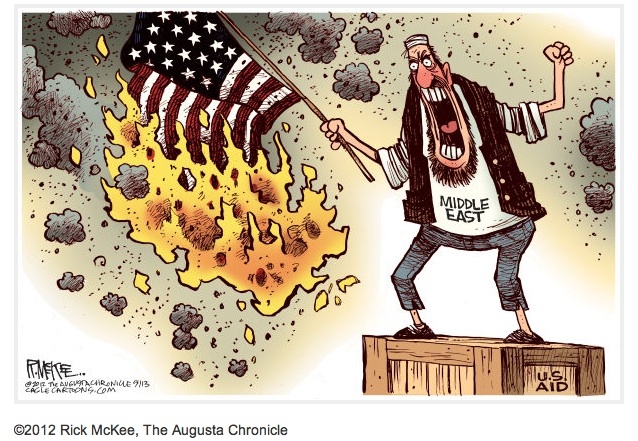 The concern was that if continued west we would be competing with more and more tourists for fewer motel rooms. We elected to back track to Lee Vining with the hope of nailing down a room in the motel I observed earlier in the day. Heading back in reverse direction actually paid dividends because traffic was lighter and most everything looked different. The 4000 feet ride down had a much different feel. Needless to say, you don’t want to misjudge any of these curves especially when the motorcycle gains speed heading downhill. There were some straight stretches of roadway along with “S-curves” thrown in, and where a sheer cliff drop-off of some 2,000 feet straight down awaited anyone who misjudged the road. This part of the ride went by quickly as we wound up at the base of highway 395. We pulled into the motel and lucked out getting the last remaining room at Murphey’s Motel. 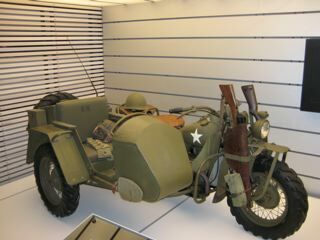 It’s a bit older, but was very comfy considering the alternative of riding back to Bridgeport or Carson City. We grabbed dinner Bodie Mike’s. The weather was good and they had a nice outside dining area. The pulled pork was good and the Corona’s were cold. The next morning we grabbed some breakfast at Nicely’s and then headed back to Reno where we met up with another part of the group who had arrived the night before. We hit the Silver Legacy pool and mapped out our destination for the return trip home. The next morning we were up early for breakfast with members of the posse and laid out plans for our route to Susanville. 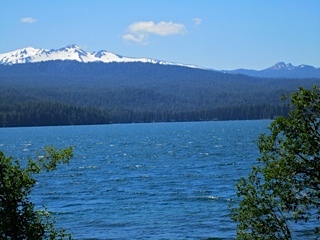 We planned to take CA-44 through Lassen National Forest and then head up toward Old Station and then take CA-89 toward the town of Mount Shasta. I like riding this route. The road is good and traffic is always moving briskly for a two-lane road. It has a varied and interesting scenery. About 60 miles south of Mount Shasta there was a forest fire back in 2009 that left the area looking like a moonscape. It was the Hat Creek Complex. More photos HERE. 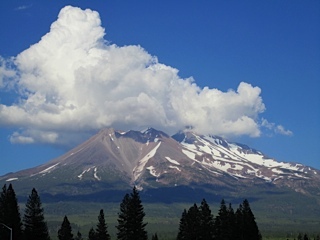 We rolled into Mount Shasta, got some fuel and then headed to Weed, CA., where we spent the night. Across the street from the Quality Inn was a little BBQ joint that had some excellent brisket. 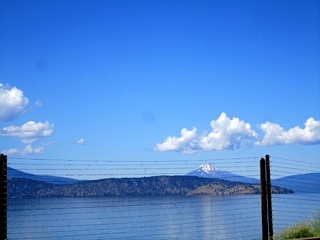 The next morning we took U.S. Route 97 north to Klamath Falls. Weed, CA., has an elevation over 3000’, but there are sections in California that is above 5,000 feet in elevation with a couple significant summits. We passed over Grass Lake Summit and about 30 miles into the trip we passed over Mount Hebron Summit which sits about 5,200 feet. The entire part of the California portion of U.S. Route 97 is part of the Volcanic Legacy Scenic Byway which is an awesome road to ride. We continued past Klamath Falls and Crater Lake Park. We headed west on Hwy 58 which is sometimes called Willamette Highway No. 18. As we headed further into the mountains we climbed up and over the summit of Willamette Pass and stopped in Oakridge. There are two scenic byways—the West Cascades Scenic Byway and the Cascade Lakes Scenic Byway which intersect with OR 58 and are great roads to ride. We arrived home a week later and given the easy number of miles we felt rested having the experience of traveling on a motorcycle through the Sierra Nevada high-desert and the elevated Yosemite park setting. Of the bike trips that I have been on, and there have been many, the Highway 395 and Yosemite/Tioga Pass ride has to be one of the more incredible stretches of road with incredible scenery to travel. Photos taken by author on the trip. I’ve posted previously about social activism and how various motorcycle clubs have joined the social networking medium to convene and be heard on legislation which might be anti-motorcycle or anti-biker. I predict there will be a new wave of protesters over the next year, called “flash activists,” who will use an arsenal of social-media tools — Facebook, MySpace, Twitter, blogs and Wikis to organize hundreds — sometimes thousands — of people to gather at events and express their motorcycle enthusiast views or debate the constitutionality of un-friendly biker legislation. No longer is social networking just for “pokes” or telling your friends what you had for breakfast. It has become a virtual grass-roots movement and an effective communications tool to mobilize the motorcycle masses to effect change in politics and fundraising. Speaking of fundraising… I’d like to bring your attention to ReMIND.org. You may remember a couple years ago that ABC journalist Bob Woodruff was nearly killed in an improvised explosive device (IED) in Taji, Iraq. After an extensive recovery program Bob and his family had an opportunity to get to know many of our military injured heroes and their families. They soon realized their unique position allowed them to be a voice that could be heard in civilian and military cultures, across political lines and throughout our nation — a voice that could call for tangible support to assist our injured service members and their families. The Bob Woodruff Foundation was born. On the social activism side, Tweet to ReMIND is about fundraising and through Twitter “tweets” they aim to raise $1.65M dollars by Memorial Day (May 25, 2009) and demonstrate the power of the social web. 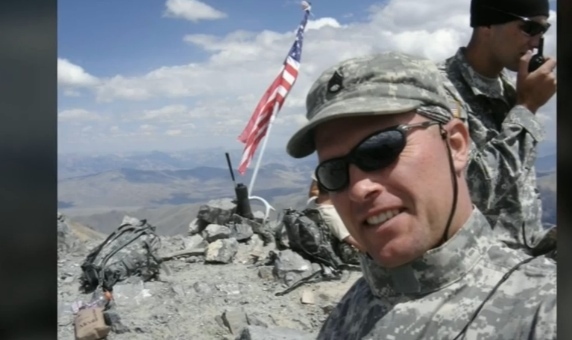 It’s an effort to ensure our military heroes return home with the assistance they need to successfully integrate back into society and more often than not, the injuries we can see are coupled with the injuries we cannot. ReMIND.org is a good cause and I hope you have an opportunity to look over the information.